To their credit, these indie darlings of the northern rock scene turn it up to 11 to appeal to the alt-rock and metal contingent tonight and as a result charting tracks like ‘Hounds Of Love‘, ‘Decent Days And Nights‘ and ‘The Beginning Of The Twist‘ sound suitably amped-up as the band showcase their quirky post-punk sound and maintain their status as one of the North East’s most popular live bands. When Biffy hit the stage a little while later, it’s all about the anthemic stadium-sized rock beasts from opener ‘The Captain‘ and its huge drums and addictive sing-a-long chorus through to the rough and ready ‘Who’s Got A Match?‘ via the sensitive and melodic standout moments of ‘Bubbles‘ – it’s all delivered well with no frills. About midway through the set as the band jerk through the future pop-rock classic that is ‘Folding Stars‘, we draw an obvious comparison between the Ayrshire band and Dave Grohl‘s Foo Fighters. Why in this instance? Because while the Biff‘ are not the world’s best showmen in that they don’t, you know…jump around (in fact they don’t move much at all) or have pretty fireworks, but they do certainly know how to rock the s*** out of their instruments. A lot of the time this material sounds like it’s been lifted directly off of the record in that it is so cleanly delivered (which can be a positive or negative observation, depending on your attitude towards live performances), but we can’t help but admire the band for their musicianship and command over Hull tonight with the undeniably affecting nature of frankly wonderful tunes including ‘Mountains‘, ‘God & Satan‘ and ‘Living Is A Problem Because Everything Dies‘. Each one of these monstrous tracks inspires a sweaty mass of people to cheer, bounce and sway. It’s just beautiful, really. 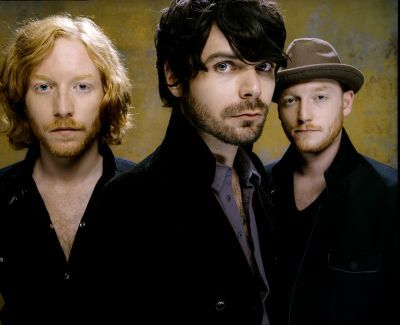 Often, people reference Biffy and make light comparisons to the aforementioned, along with The Pixies and Weezer, which is lovely and all, but as a group that are already influencing the next generation of alternative rock bands coming out of the UK, it won’t be long until the band are mentioned in the same breath as those world-beating rock legends around the world. Thinking of the smaller picture though, here in Yorkshire the vast majority are satisfied by the set while a select few are obviously disappointed that there wasn’t more early material on offer. We are just proud that the band made the trek through an icy cold winter hell, and as ever we hope to see more bands of this calibre join us in ‘Ull. For more information, visit the official MySpace.